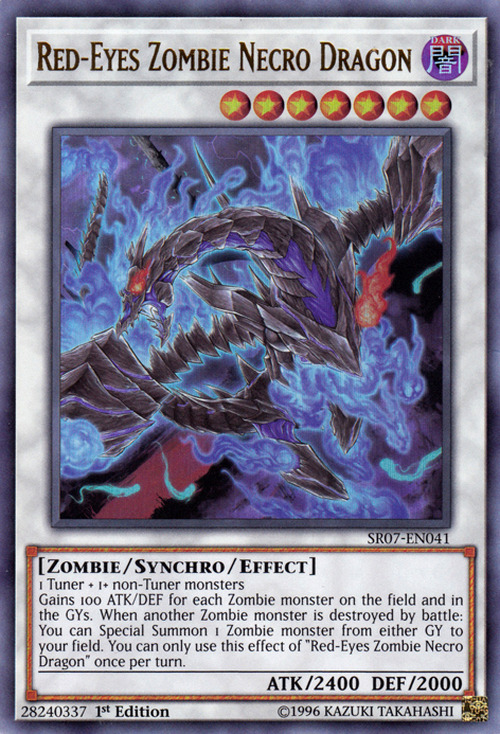 This card is the first Red-Eyes Synchro Monster. This monster is an evolved, Synchro form of Red-Eyes Zombie Dragon. This monster appears on the artwork of Zombie Necronize and Zombie Power Struggle. Soul-Absorbing Bone Tower and Zombie World appear in this card's artwork.